The University of Georgia will celebrate the successes of students, faculty, staff and alumni during Honors Week, April 1-5. 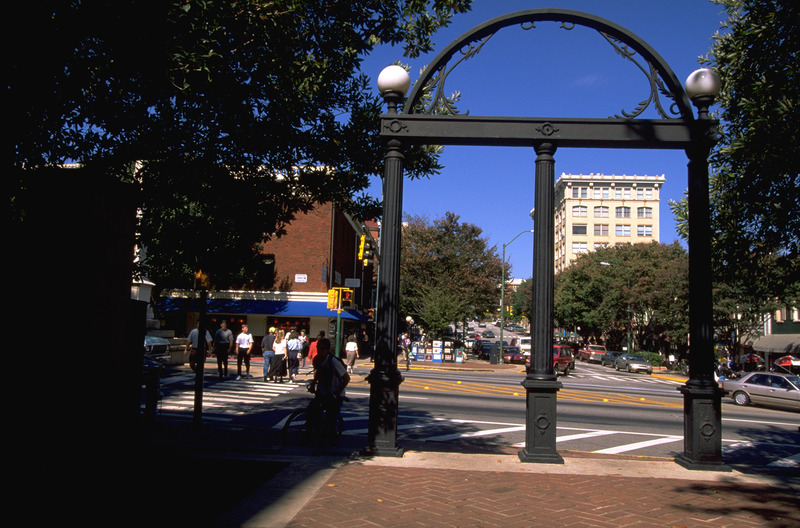 Honors Week is an annual UGA tradition dating back to the 1930s, when then-Chancellor S.V. Sanford dedicated a day to recognize outstanding students. In 2011, the event was expanded to include events recognizing faculty, staff and alumni. Honors Week activities include the Public Service and Outreach Meeting and Awards Luncheon as well as the Alumni Awards Luncheon, which are open to the public, as well as several invitation-only events. Departments across UGA’s schools and colleges also will hold recognition ceremonies for honored students in their respective disciplines. For more information, visit calendar.uga.edu/. Honors Week will begin April 1 with the 28th annual Public Service and Outreach Meeting and Awards Luncheon. It will be held from 9:15 a.m. to 3:30 p.m. in the UGA Center for Continuing Education & Hotel; the awards luncheon will be held at noon. Although the meeting and luncheon are open to the public, online registration is required at https://bit.ly/2UfccB0. A luncheon in the Magnolia Ballroom will honor the 2019 Public Service and Outreach award recipients. Faculty and staff can attend professional development sessions during the morning and afternoon. Throughout the day, attendees can view poster presentations highlighting the courses and projects developed by the 2018-2019 Service-Learning Fellows during their yearlong fellowship with the Office of Service-Learning. The Faculty Recognition Banquet also will be held April 1. An invitation-only event, the banquet will be held in Mahler Hall of the Georgia Center. The reception will begin at 5:45 p.m., and dinner will be served at 6:30 p.m. Hosted by the Office of the Senior Vice President for Academic Affairs and Provost, the banquet will recognize the winners of the 2019 awards for teaching excellence, including the Josiah Meigs Distinguished Teaching Professorships and the Richard B. Russell Awards for Excellence in Undergraduate Teaching, as well as faculty and graduate students who will be honored for outstanding teaching and mentoring. Hosted by the Office of the President, the Presidential Honors Week Luncheon will be held April 3 as part of Honors Day. The invitation-only event will recognize the university’s most distinguished undergraduate scholars, including First Honor graduates and Student Government ­Association leaders, as well as student recipients of the Presidential Award of Excellence and ­national scholarship winners. The Honors Program Graduation ­Banquet also will be held April 3. An invitation-only event at the Classic Center, the banquet will recognize Honors Program students who graduated in the summer or fall of 2018 as well as the graduating class of May 2019. Recognitions presented at the banquet include the Lothar Tresp and Hatten Howard Outstanding Professor awards as well as the Jere W. Morehead Award, which is given to an exceptional alumna/alumnus or friend of the Honors Program. The 40th annual Research Awards ­Banquet will be held April 4 at 5:30 p.m. in Mahler Hall of the Georgia Center. The invitation-only banquet is sponsored by the University of Georgia Research Foundation and recognizes excellence in UGA research and scholarly creativity. Awards are given annually to honor outstanding faculty and graduate students. Honors Week will conclude April 5 with the Alumni Awards Luncheon. The event, which will begin at 11:30 a.m., will be held in the Grand Hall of the Tate Student Center. Although the luncheon is open to the public, online registration is required at alumni.uga.edu/alumniawards/. The Alumni Awards Luncheon celebrates distinguished alumni, faculty members and friends of UGA. The UGA Alumni Association will present the Alumni Merit Award, Faculty Service Award, Young Alumni Award, Family of the Year Award and Friend of the Year Award to recognize those who demonstrate dedication to the University of Georgia.